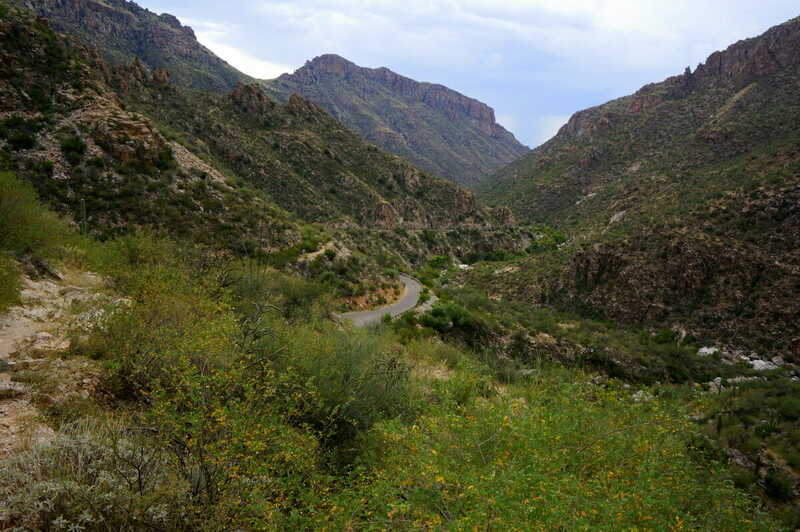 Surrounded by 4 mountain ranges, bookended by a national park and situated on the banks of a river is one of Arizona’s most welcoming towns. 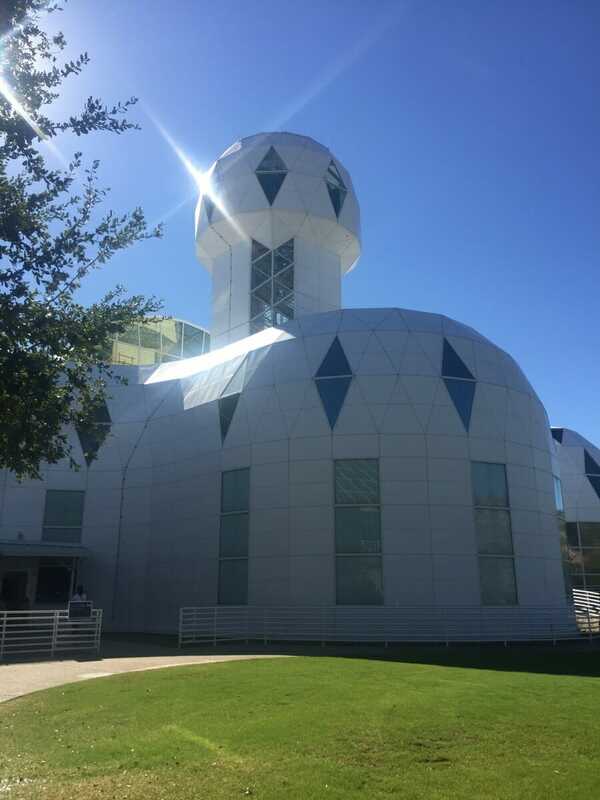 Tucson, Arizona is well known for being a fun loving college town and a haven for star watchers looking to study the skies. It’s newest claim to fame as a UNESCO City of Gastronomy is quickly making a name for the town with the foodies. 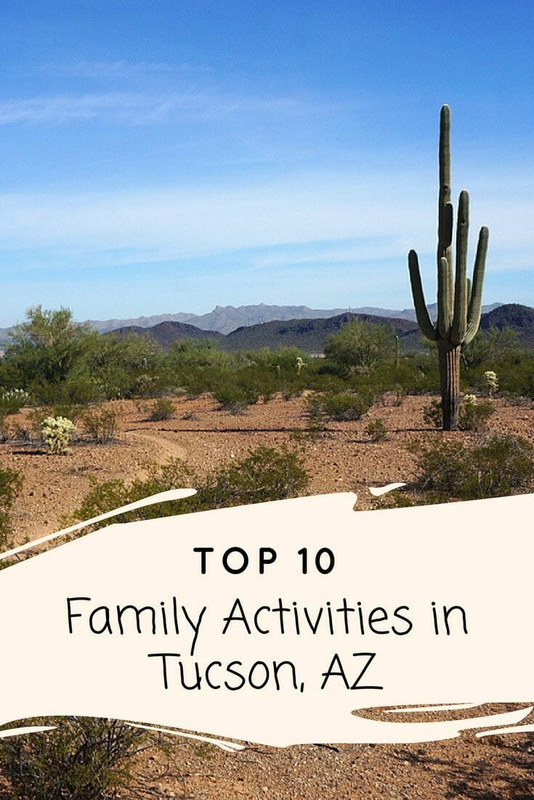 Even with all the accolades, families often overlook Tucson, instead focusing their holidays on the big names of the state like the Grand Canyon and Route 66. And that is a shame. 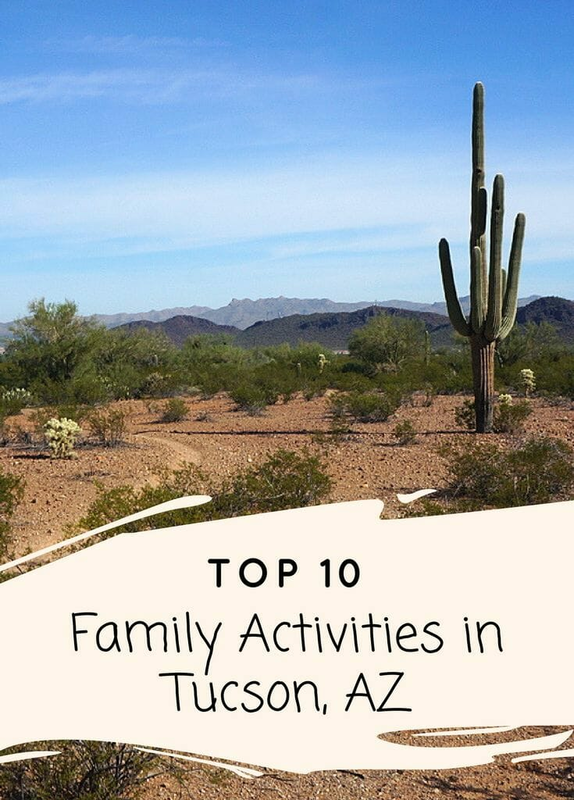 After 10 days in Tucson, we found it to be the perfect destination for a family vacation, especially for families who love the outdoors. 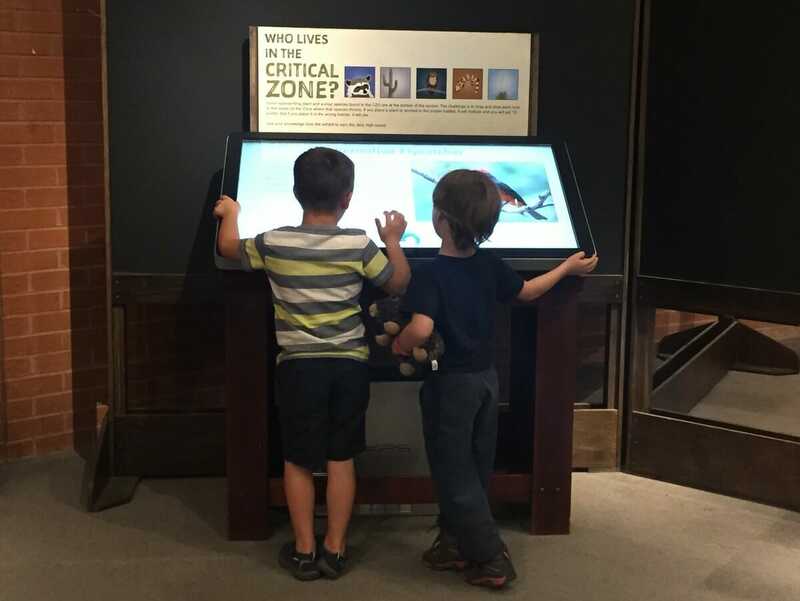 Additionally, Tucson provides a great deal of activities combining history, culture and science, making it a dream for homeschoolers or any family who likes to add fun, engaging educational experiences into their travels. 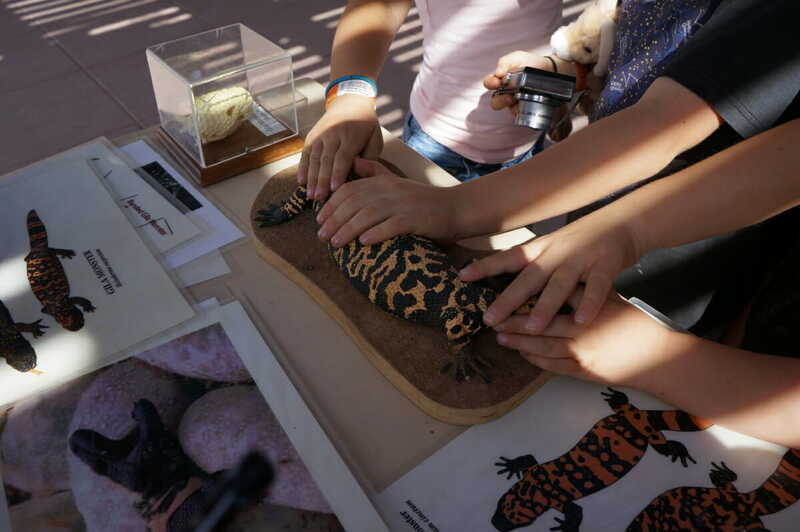 Read on, for our top 10 things to do in Tucson for families. This is something I have been dying to do for ages and I am so happy we finally got to experience it. 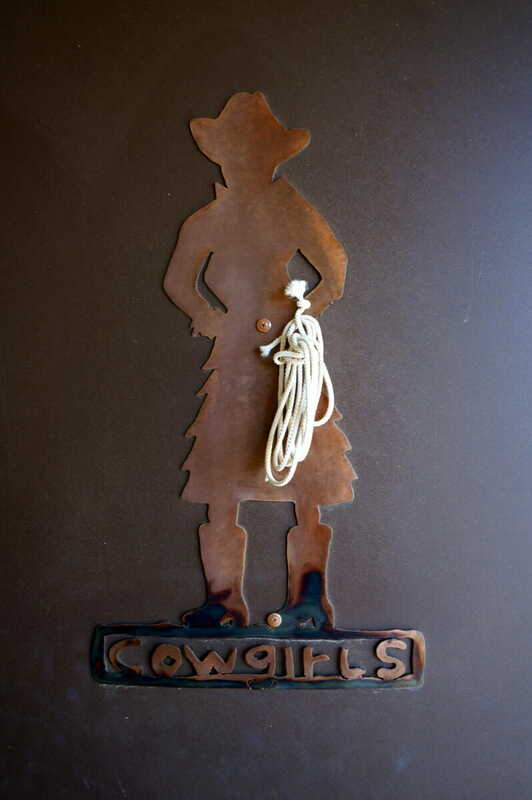 There are several great dude ranch experiences in Tucson. 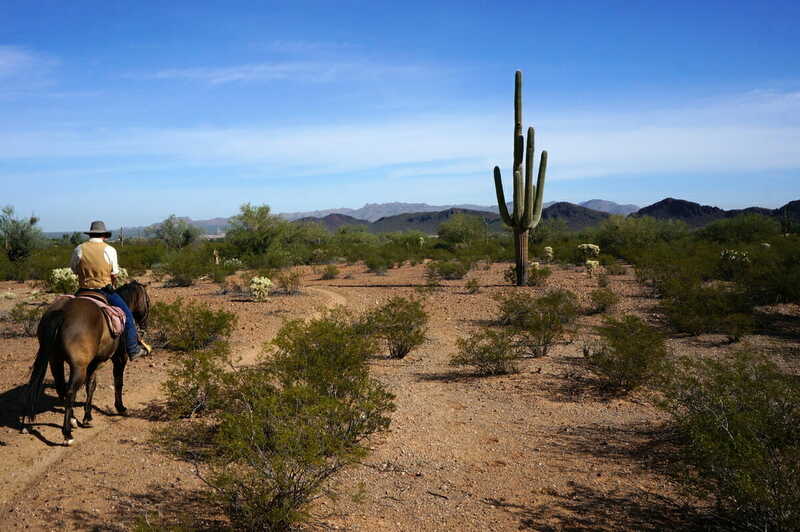 Two of our favorites that we visited are the White Stallion Ranch on the border of Saguaro National Park West and Tanque Verde Ranch on the border of the eastern side of Saguaro National Park. 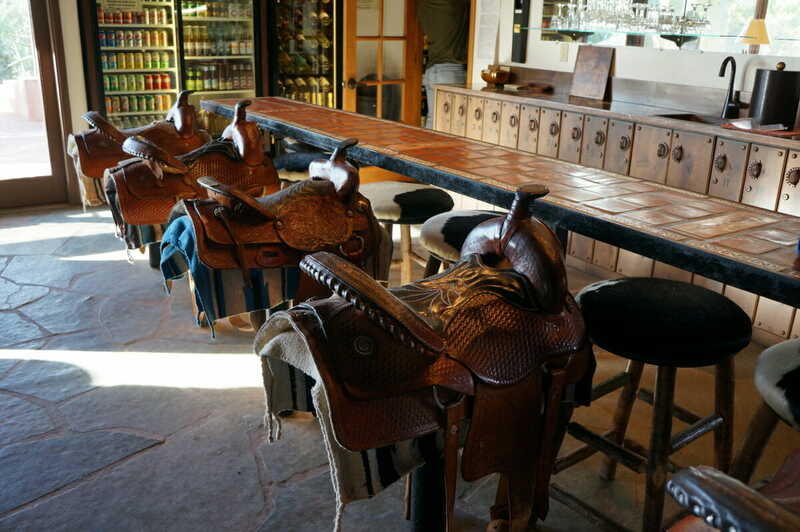 Get your inner cowboy fix by riding horses every day and soaking up the desert sun at the comfortable but rustic surroundings of the ranches. 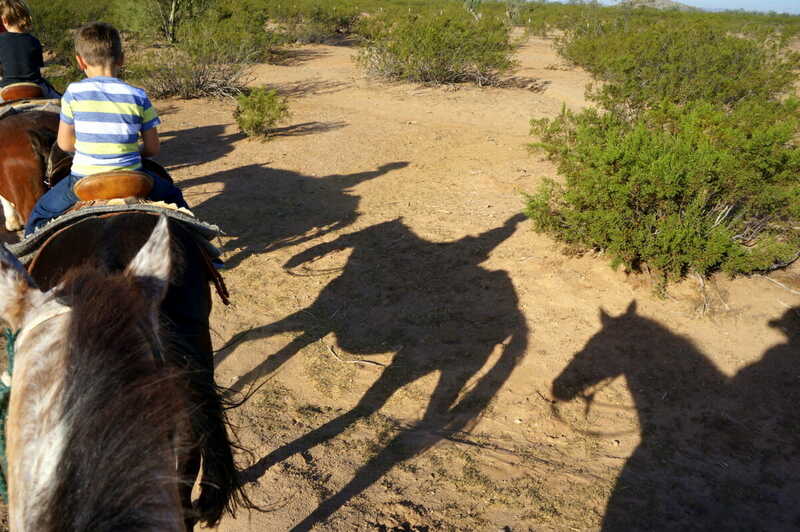 Even if you cannot stay at one of the ranches, find the time to go horseback riding somewhere in Tucson to get a feel for the wild west. 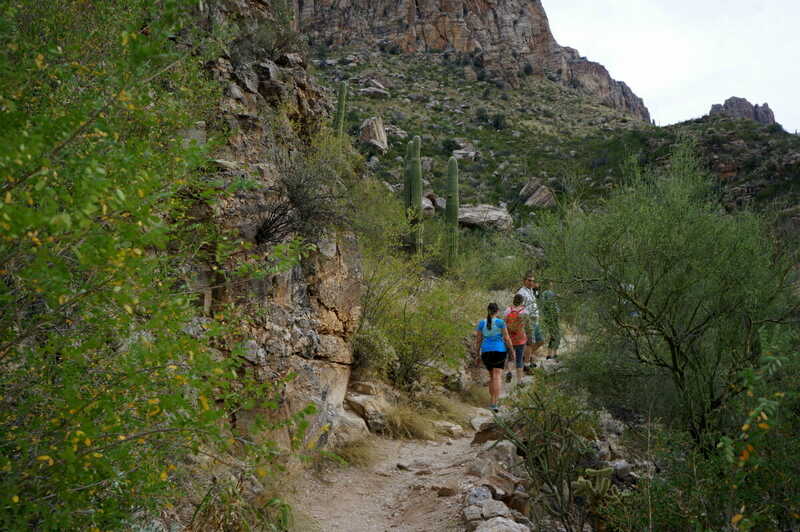 The Sabino Canyon Recreation Area is one of the best places close to the city center of Tucson to go hiking, especially for families. 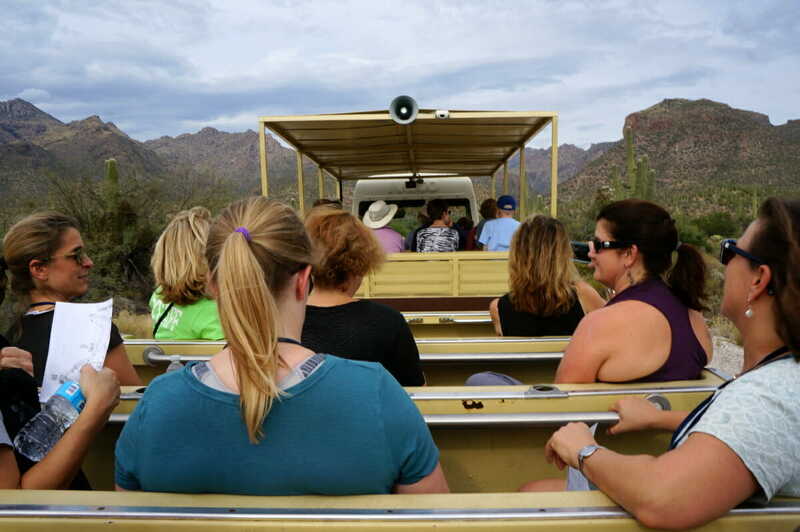 While there are many trails in the canyon, families will enjoy the 45 minute narrated tram ride into the foothills of the Santa Catalina Mountains. There are 9 stops along the way (some with restroom facilities and water) where you can get on/off. I suggest riding to the top, stop #9 and walking down on the paved road until you are tired. 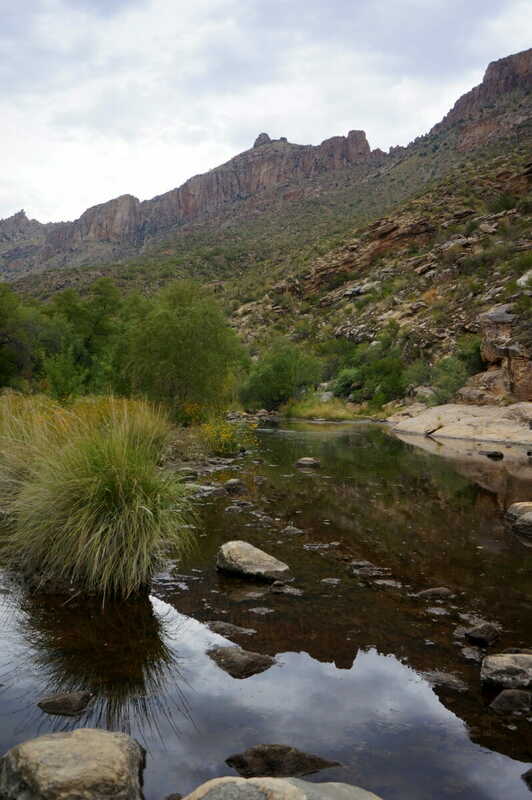 Once back to the bottom, check into the visitor center to inquire about other short trails located here. Keep your eyes peeled and you might spot some animals. 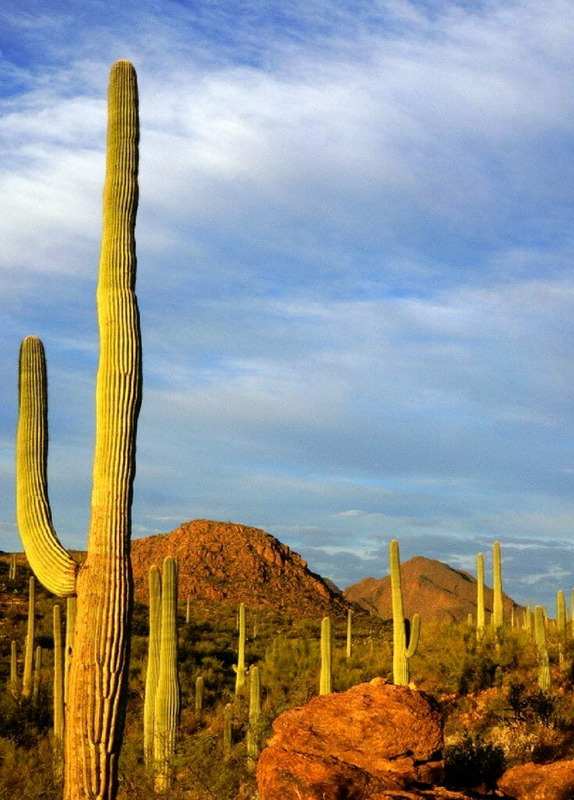 Saguaro park bookends the city of Tucson on both the east and west sides of town. It’s a treat to spend some time wondering around massive fields of saguaro which only grow here in the Sonoran desert. If you are limited with time, I suggest visiting the western side of the park which has the most concentrated areas of saguaro. 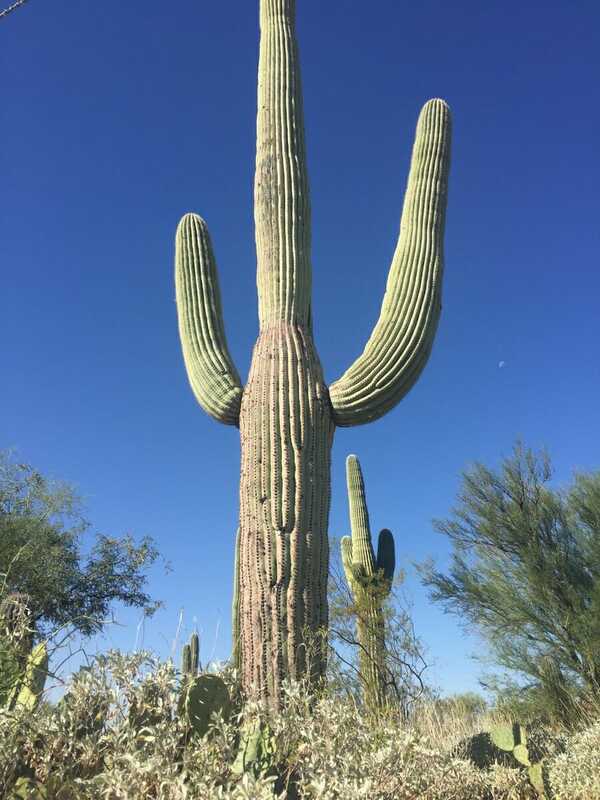 If you want more information on what to do and see there, read our guide to visiting Saguaro National Park. 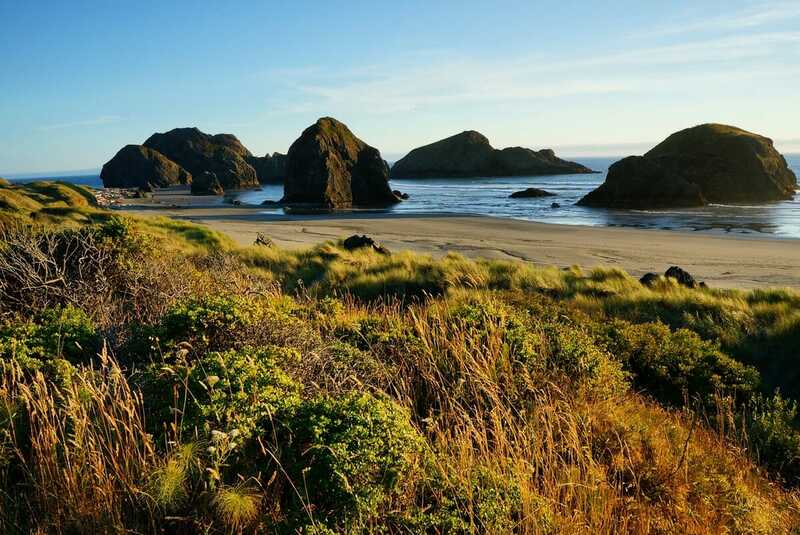 Definitely make time to see at least one sunset here – it’s truly magical. 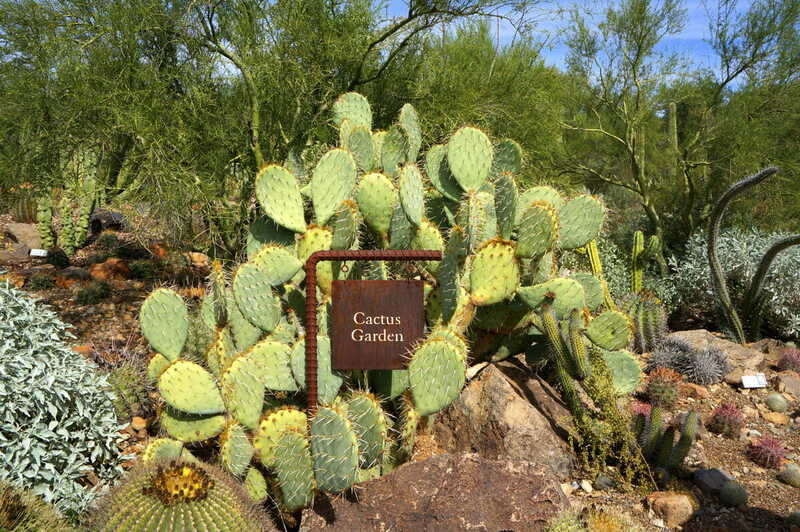 Part natural history museum, part zoo and part botanical garden make the Arizona-Sonora Desert Museum a special place to visit while in Tucson. 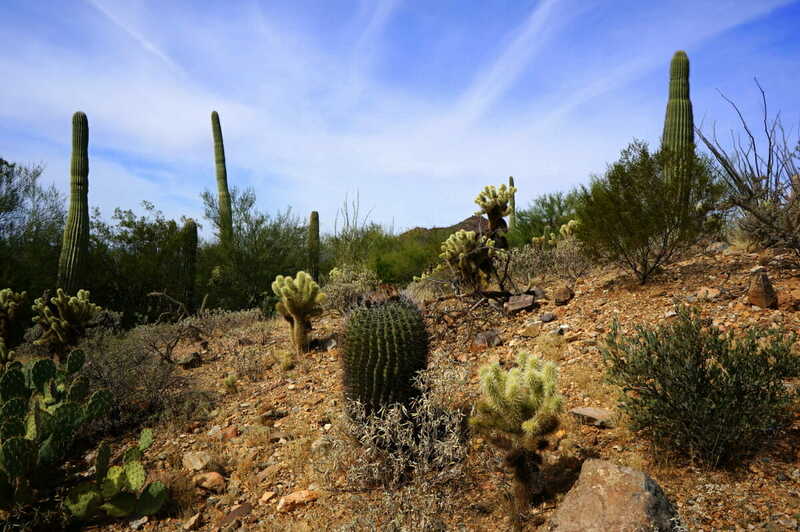 The Arizona-Sonora Desert museum sits on the outskirts of the western Saguaro National Park, and is well worth a visit to learn more about the flora and fauna that call this region home. 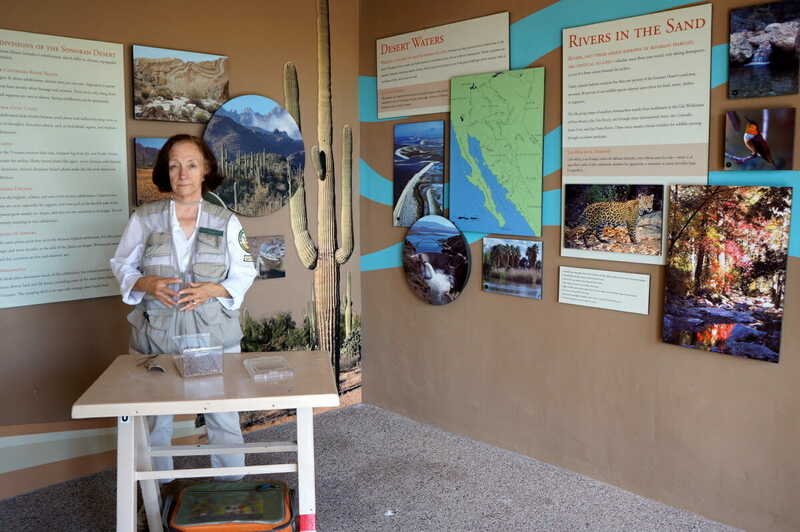 Docents are located at various parts of the outdoor museum with exhibits providing hands on learning for both children and adults. 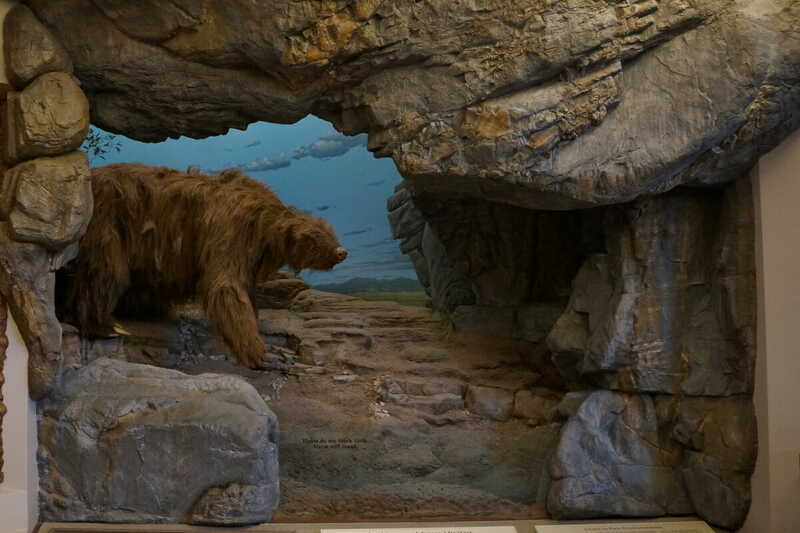 Think of the museum as a zoo, in that you will be outside and walking quite a bit. 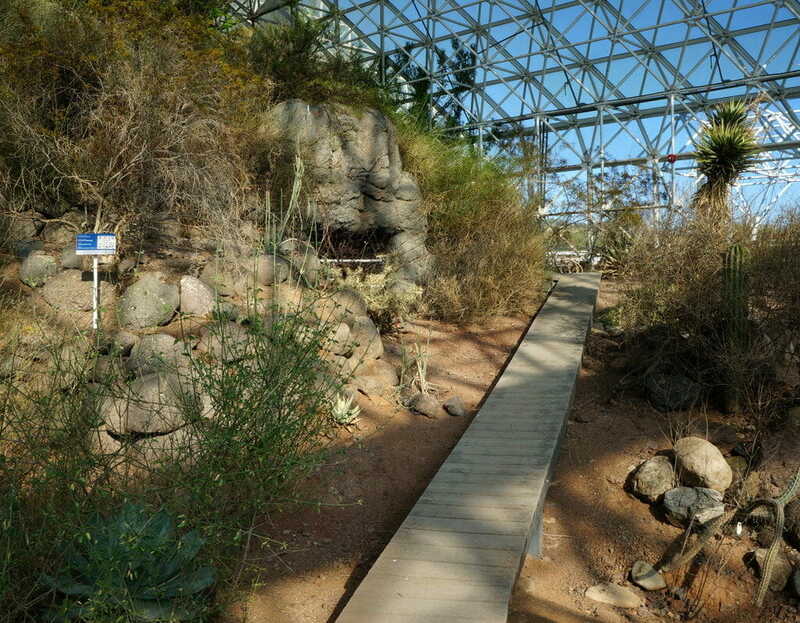 More than 85% of the museum is outdoors leading visitors through 2 miles of various habitats, so bring the strollers and lots of cold water. We heard nothing but rave reviews about this museum prior to our visit and it did not disappoint. 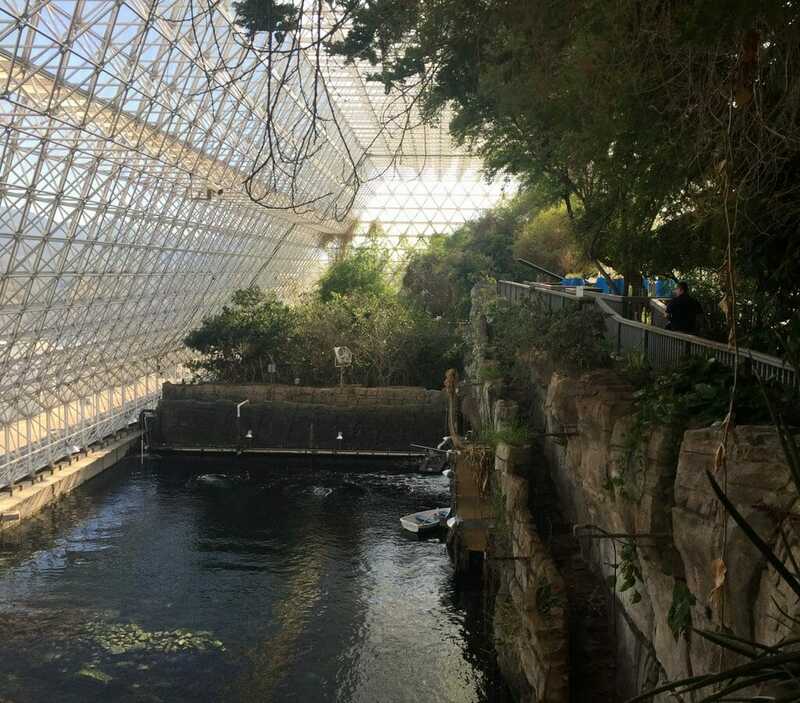 Have you heard of the Biosphere before? I hadn’t, but several friends had and told me all about it. 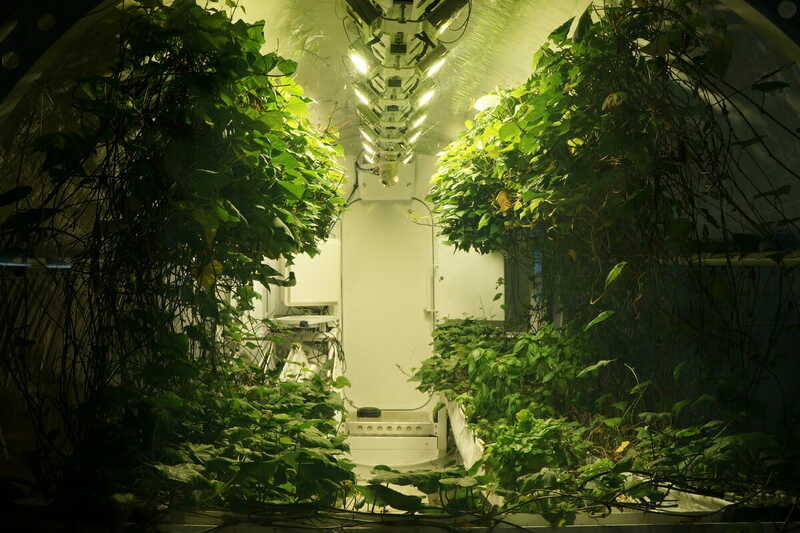 The gist – a crazy, amazing science experience gone haywire. 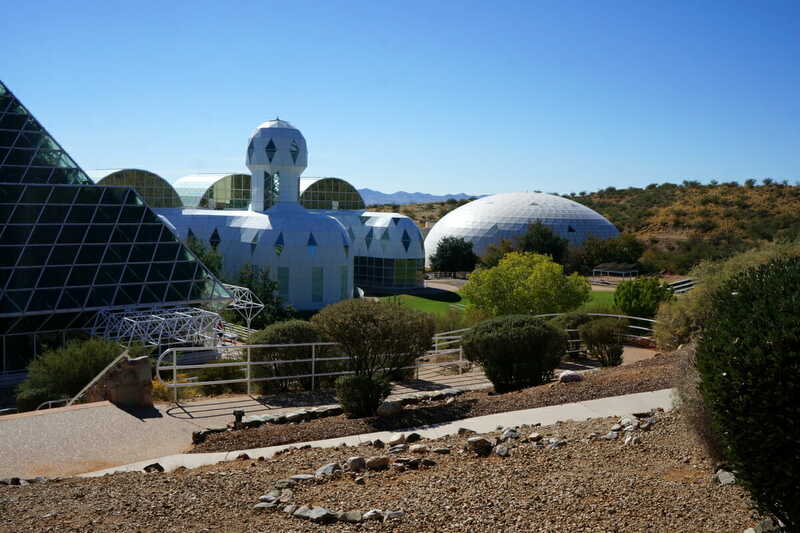 In the late 80s a group of scientists began construction on a building that would help them research self sustainability in terms of space-colonization technology. 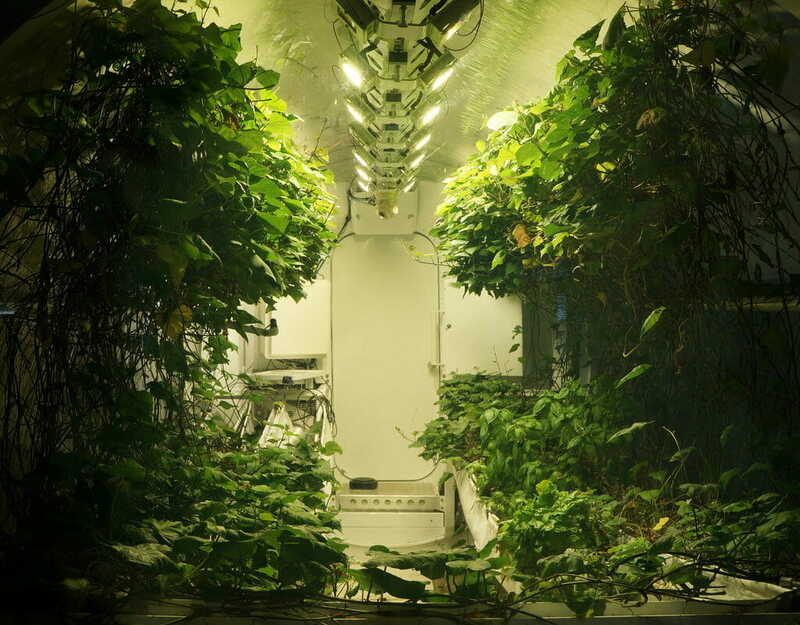 The scientists were meant to be locked into this facility with no one coming or going for several years. In the meantime, tons of experiments were conducted and data was collected. As you can imagine, a small space with many people cooped up for years on end did not end well. 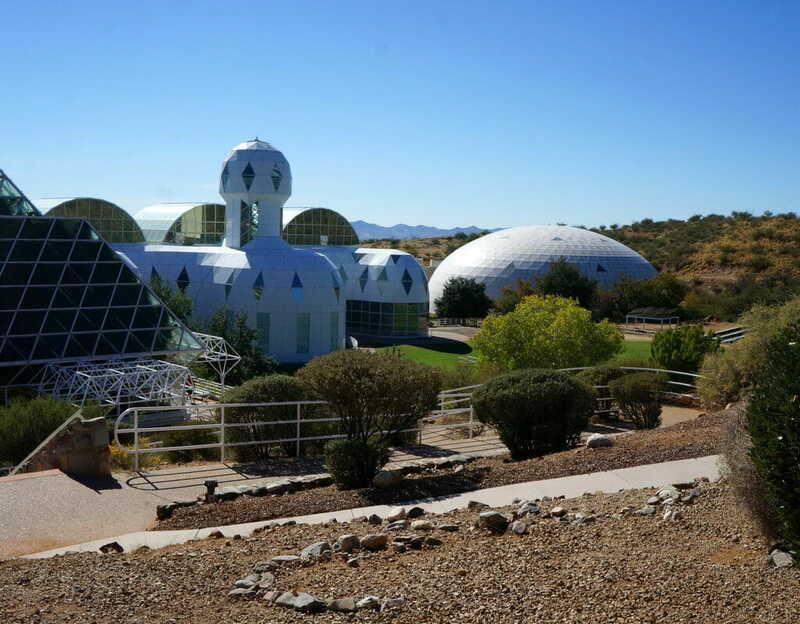 The building and property was tossed around for several years until it came into the hands of the University of Arizona who now uses the facility to advance the world’s understanding of natural and man-made environments through scientific experimentation. It’s super cool and a must visit when you are in the area. Our favorite part was seeing the “lungs” of the building move up and down with the pressurization. 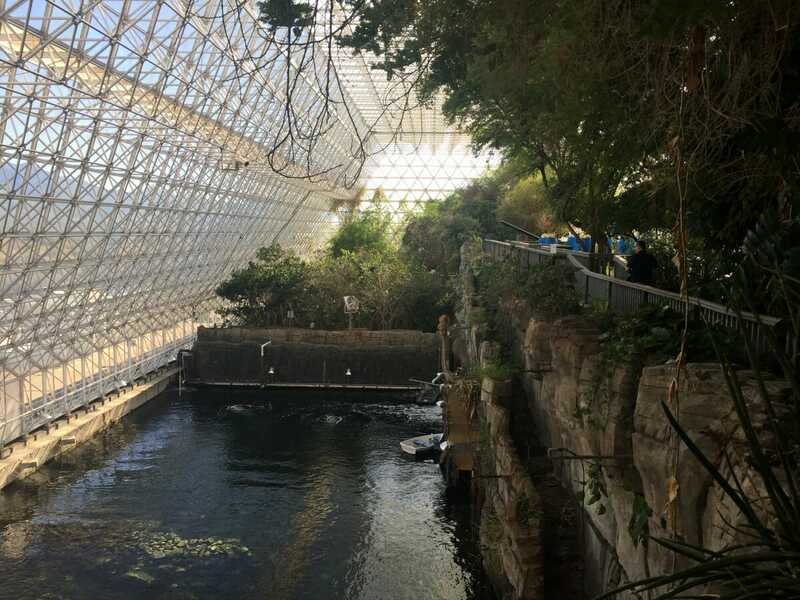 Some really cool stuff went into the building of this space and will be a favorite for both kids and adults who are into science and the natural world. 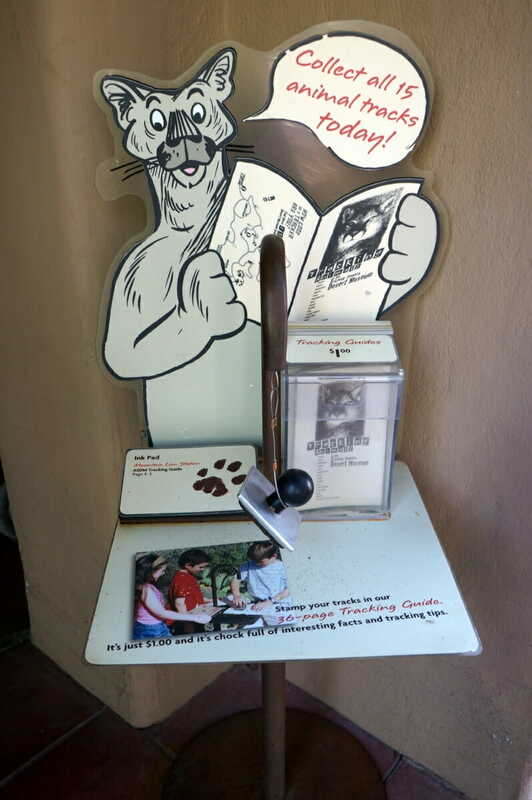 For smaller kids, there are coloring books at the front to keep them occupied if they get bored while on the guided tour. 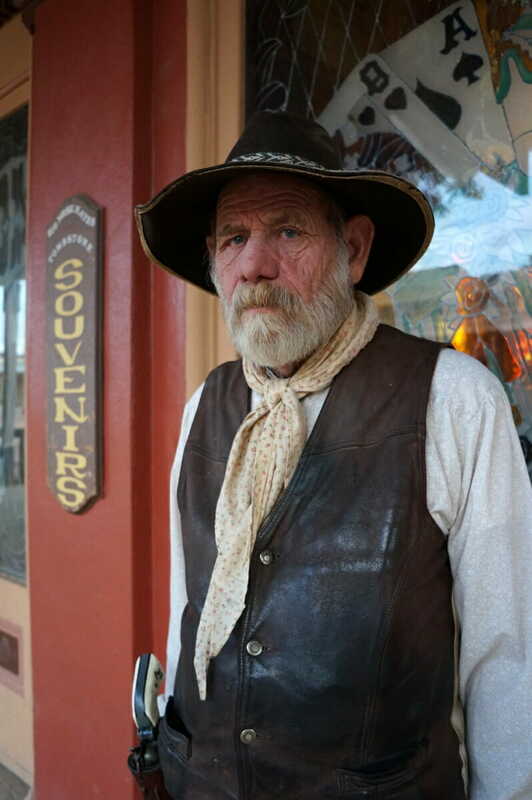 Tombstone is technically not in Tucson, but if you are in the area, you need to make a detour to the old wild west! I was skeptical thinking this was going to be a tacky tourist stop, but it was actually pretty fascinating and ended up being a favorite. 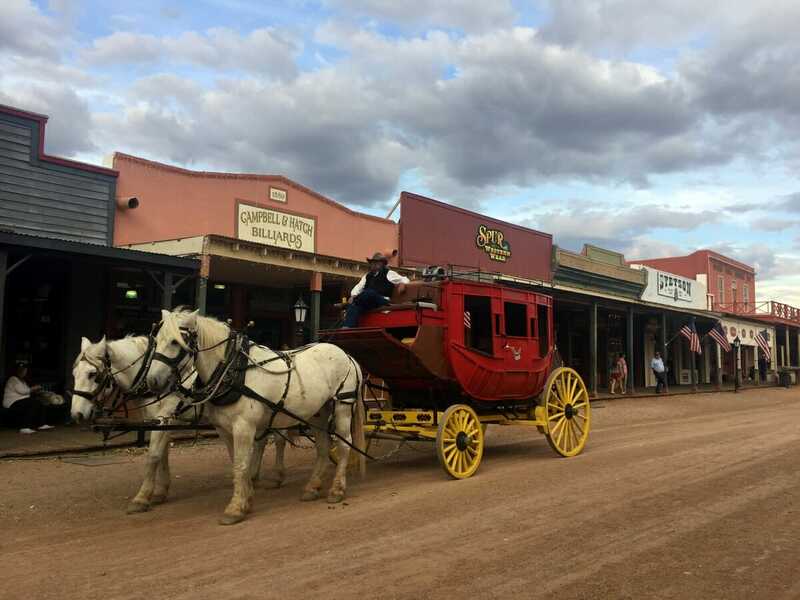 The town of Tombstone has stayed the same for many years and has turned into a place where locals and visitors alike dress in period clothing to relive their fantasies of the wild west, guns and all! It’s a mesmerizing place. 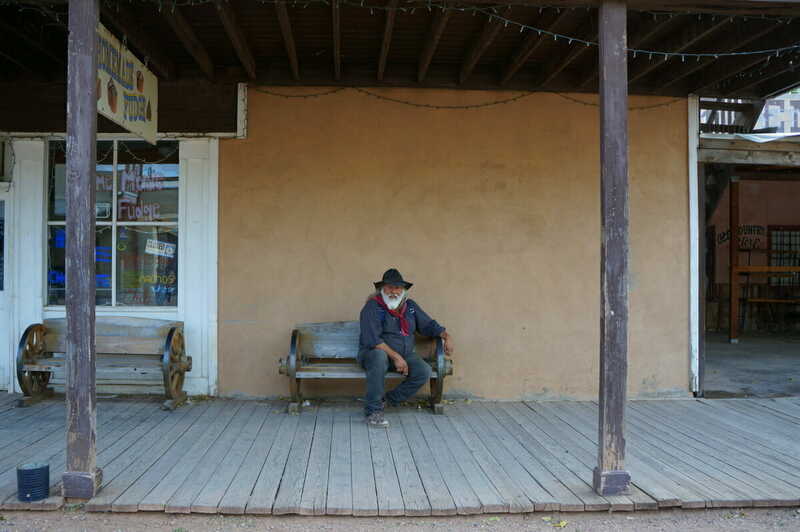 If you want to delve deeper into the actual history of the town (which I highly recommend you do), take a tour with Dr. Jay (a former dentist) for an entertaining account of the famous “Gunfight at the O.K. Corral”. While in town, don’t be shy, spend some time chatting to the locals who are dressed up. They were all so welcoming and loved to chat about how they found themselves living in this wild west recreation. 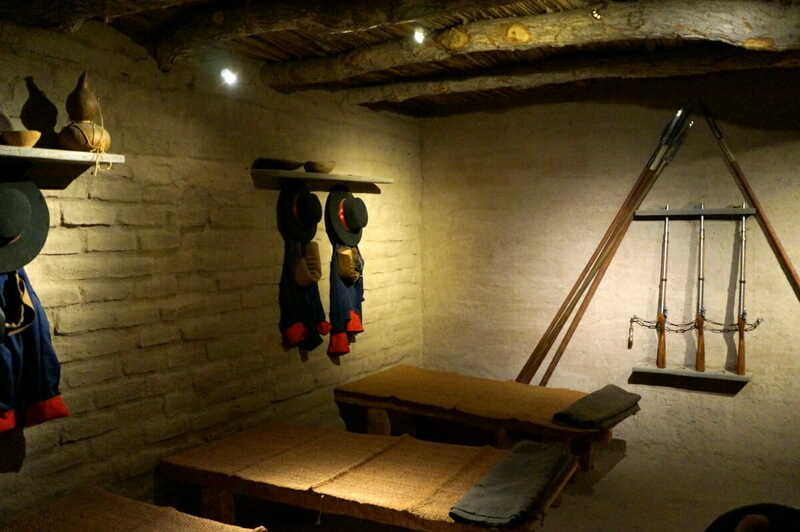 Step back in time to 1775 to be exact, at the Presidio San Augustin Museum. 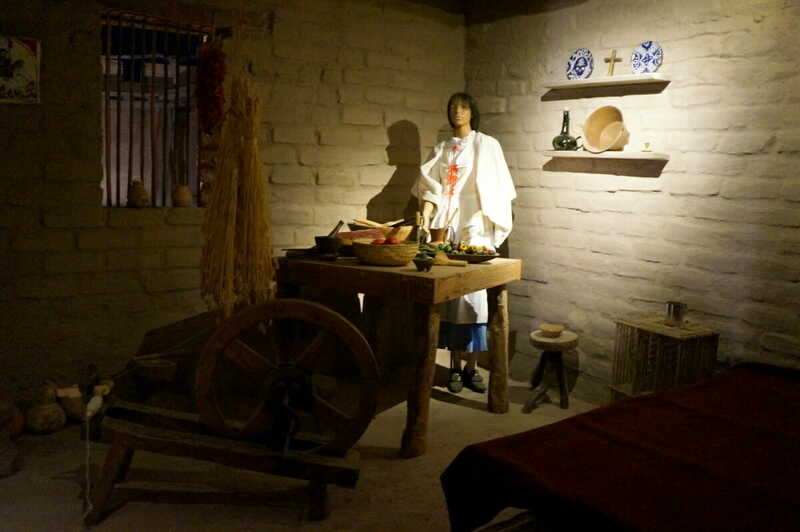 This museum showcases a recreated Presidio as well as a collection of old row houses. 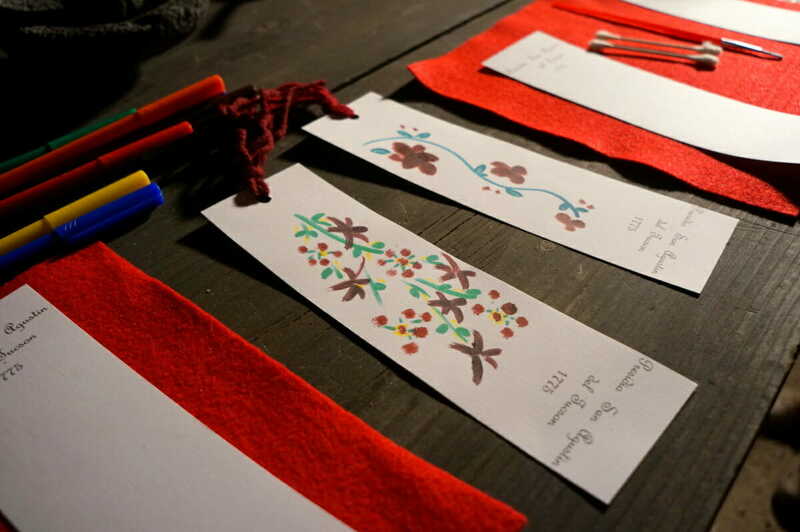 Sleeping quarters, wells and more are brought to life with living history volunteers recreating life in the past. 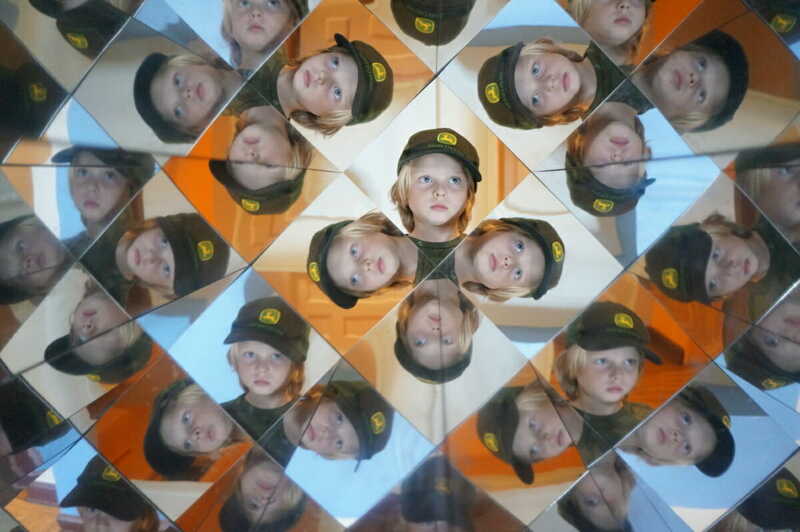 Additionally, docents host exhibits for families to present different things from the past. 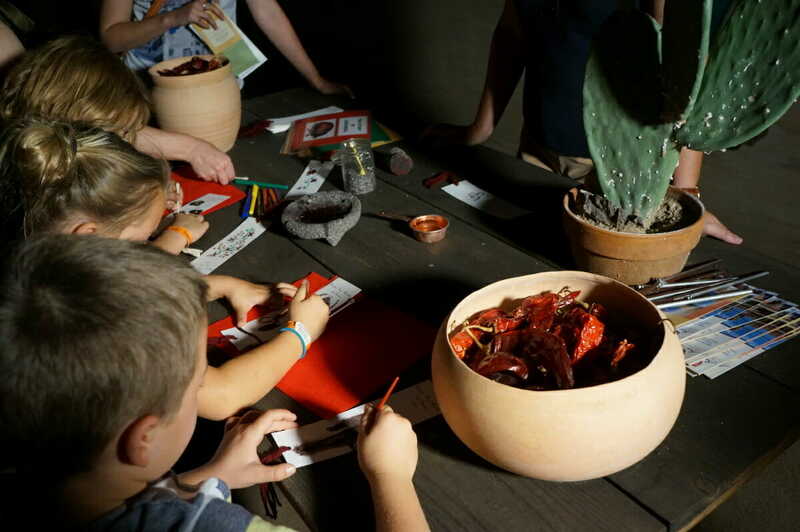 During our visit, the kids got to crush up cochineal bugs (found on the prickly pear cactus) to make paint. It was so cool to see how this was done. We used to have these bugs on our cactus and had heard you could use it as a dye, but had no idea how. 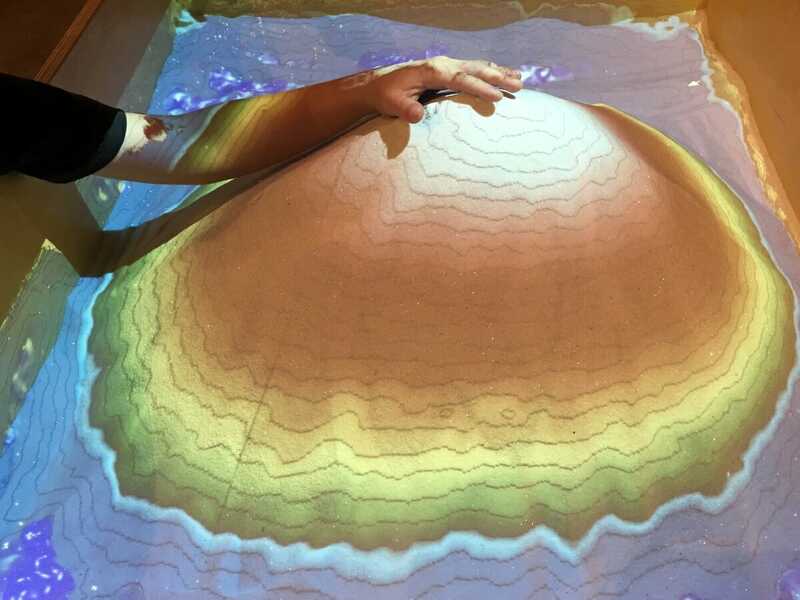 It was amazing to learn how it was done and to actually use it. 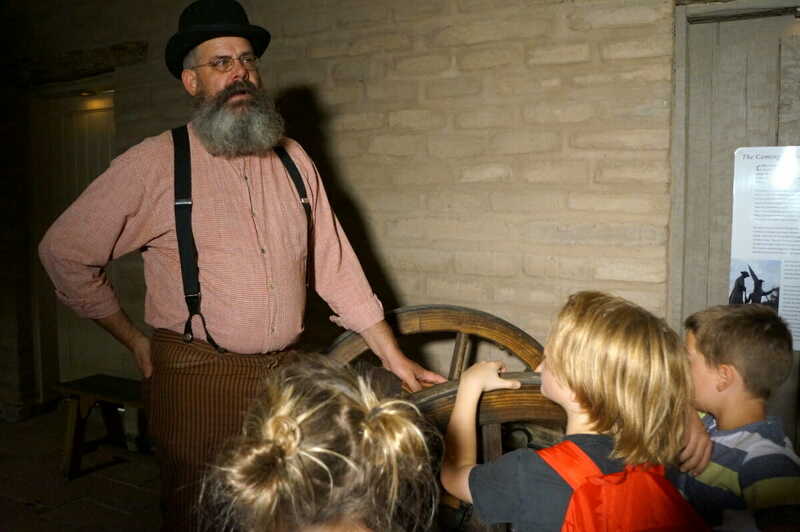 If you have history buffs or kids who like to see how life was in the olden days, this is a must visit in Tucson. One thing Tucson is widely known for is it’s dark skies. 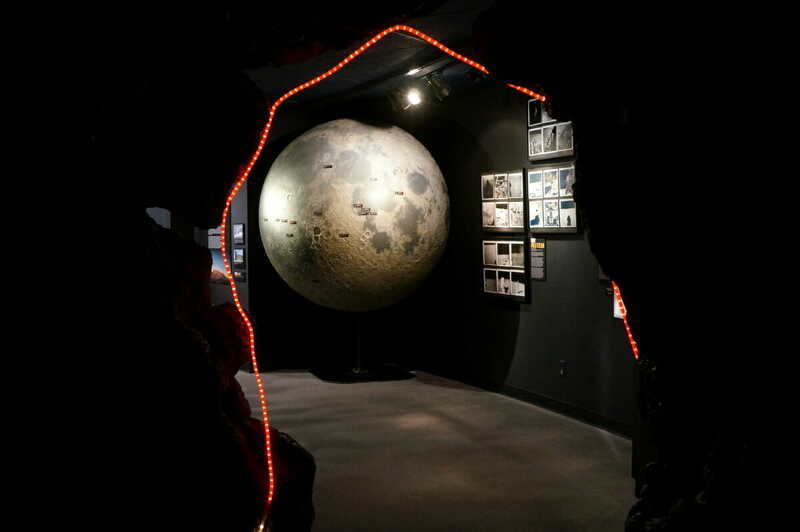 Classified as a dark sky city, Tucson takes their mission seriously by limiting light pollution throughout the city with special types of lighting. That said, you can’t leave without spending some time just soaking up the insane amount of stars displayed above you. 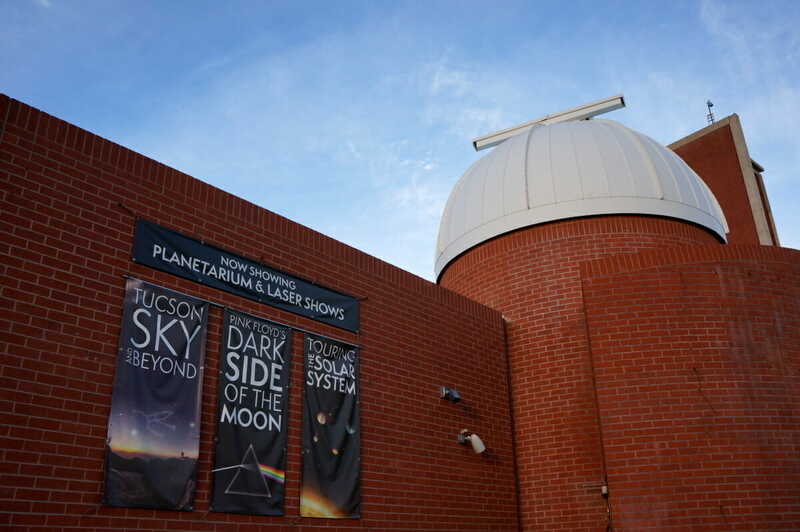 To educate yourself a bit more on what you will see in the sky, take a trip to the Flandrau Science Center & Planetarium on the University of Arizona campus. 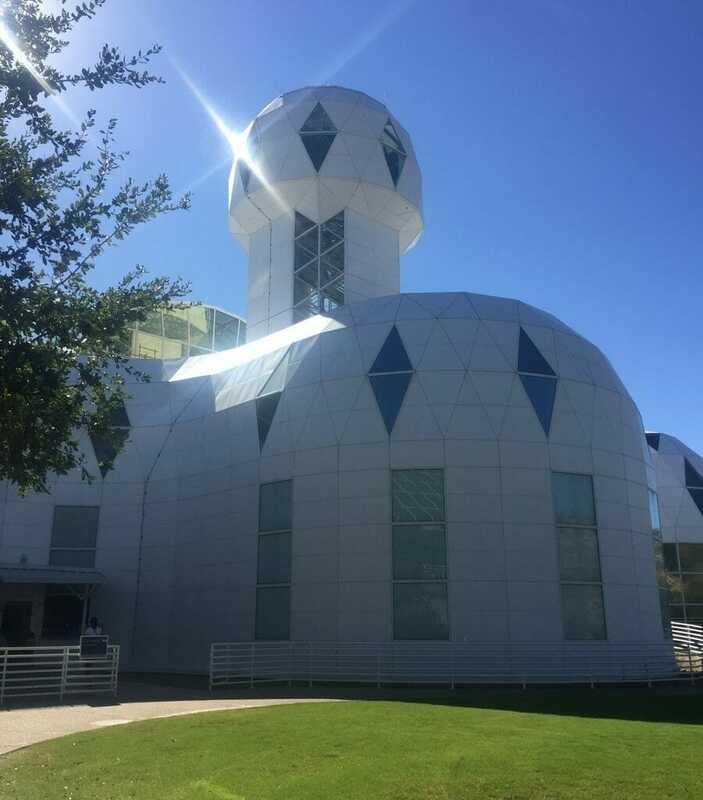 Ticket prices include a planetarium show, time to explore the hands on science center exhibits as well as the mineral gem museum. 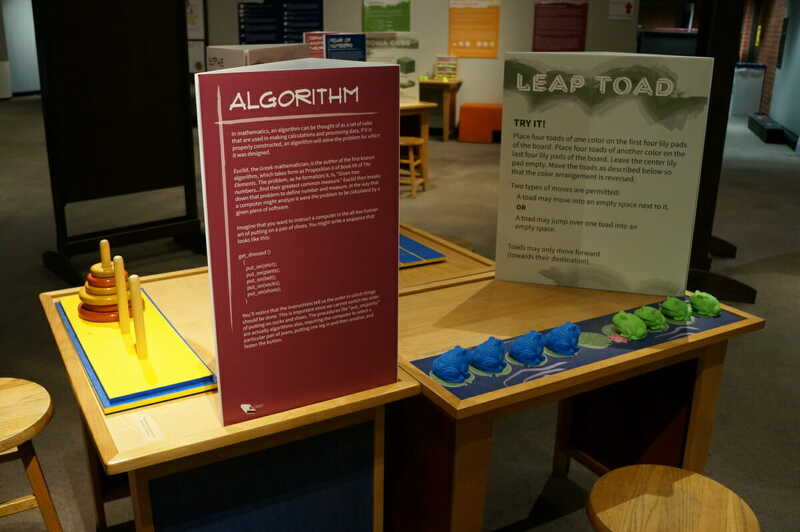 The museum is small, but provides a great deal of things for kids to check out, play with and learn more about. This is a great alternative for families with kids of all ages when it is way too hot to be outside hiking around! 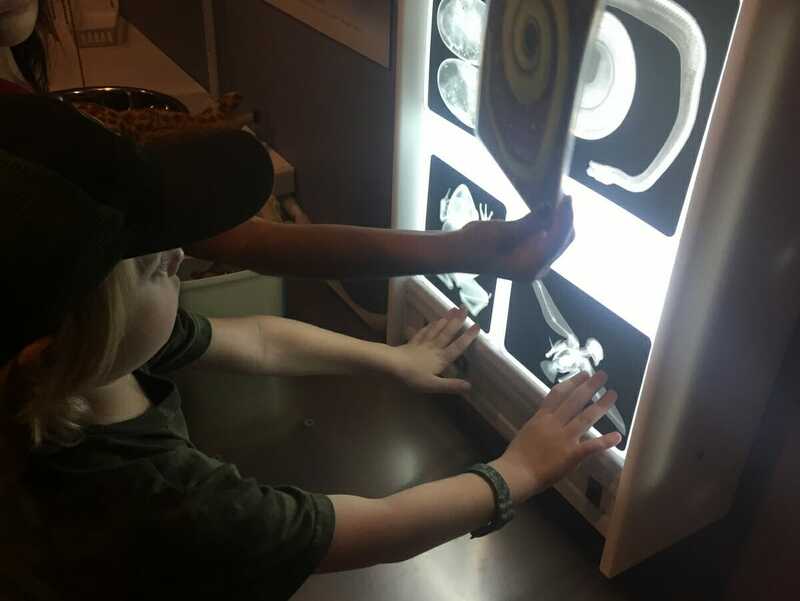 If it’s hot, the kids need to just play and be surrounded by other kids for a while, then head to the Children’s Museum Tucson. 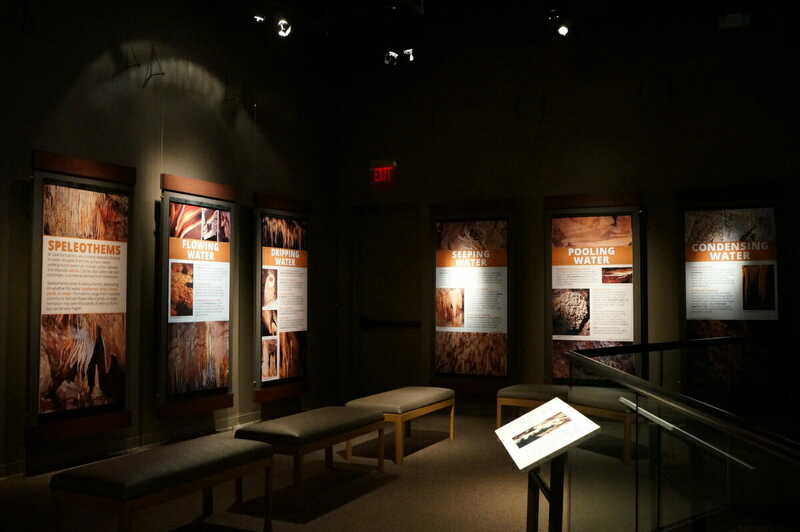 Re-designed for children of all ages, the museum features hands on exhibits throughout several rooms. 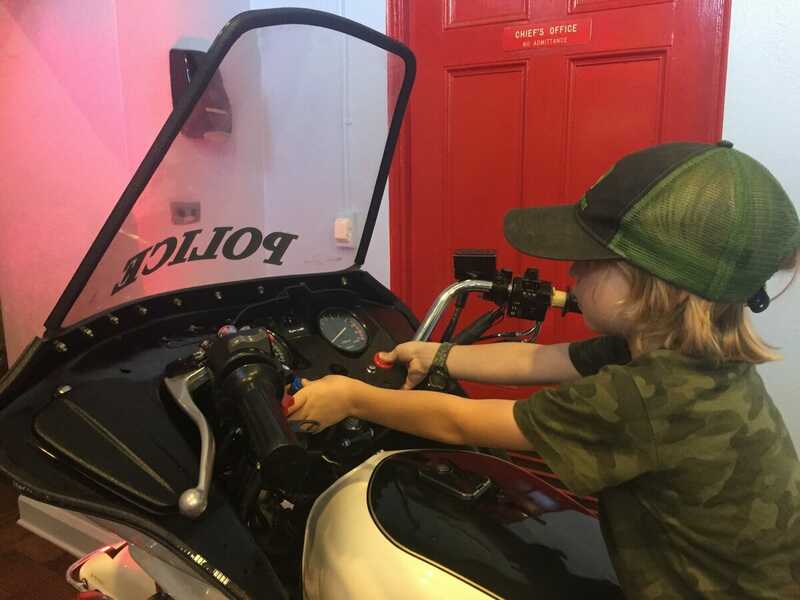 Kids will have a ball playing on the police motorcycle, driving a firetruck and playing EMT in a walk-in ambulance. There is an art room with a variety of art supplies and crafts depending on the current them, science exhibits, a train room and a super cool vet’s office for kids to play pretend. Our favorite was the “bodyology” exhibit where my son stuck his head in a mouth and got surprised with a burp! 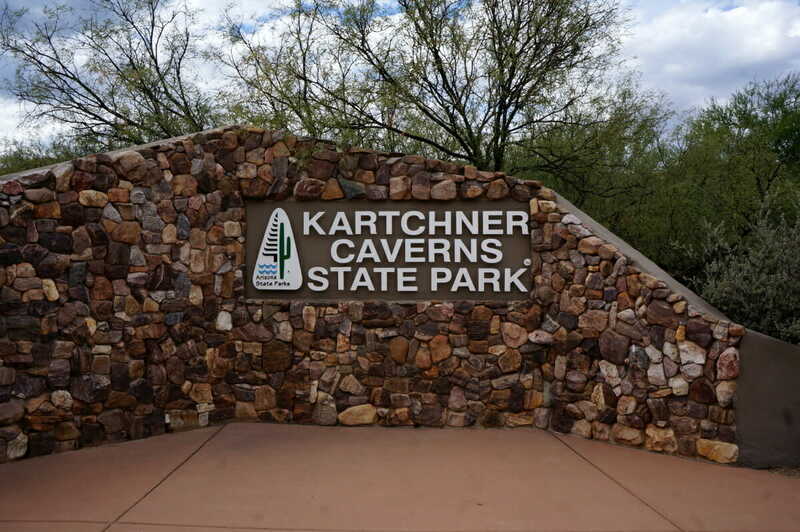 Kartchner Caverns State Park is also not quite in Tucson, rather a bit of a drive from town. However, if you have some extra time, it’s well worth venturing out for. Note, they are very specific about their formalities here. There is absolutely no photography allowed. You cannot even take your bags inside, so leave everything in the car or prepare to pay for a locker once you are inside the visitor center. This was a bit of a disappointment to be honest, but we survived without our phones or cameras for the duration.. just barely though! Also note, the park rangers are very particular about any body parts touching the rocks, so keep the little ones with you as much as you can and inform the rangers if any accidental touches occur so they can mark it for cleaning. Formalities over, this cave is pretty cool to see and is easily accessible for all in the family if you have never seen a limestone cave before. There are two different cave tour options ranging from 1.5 hours to almost 2 hours. The actual walking distance is only about 1/2 mile on a paved path. 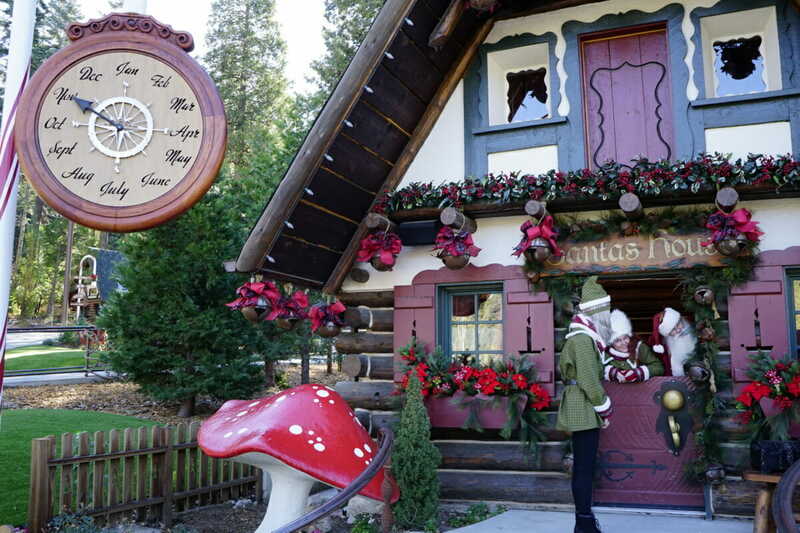 Reservations are required and it is suggested that visitors arrive no later than 1 hour prior to tour time. 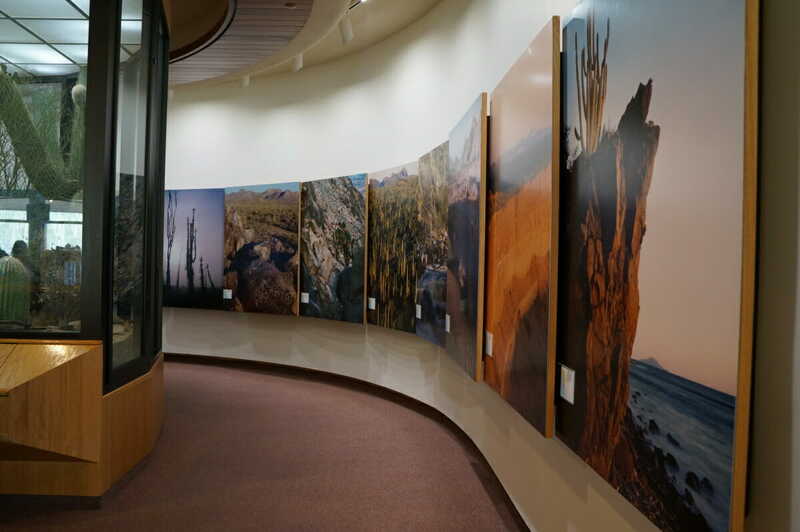 During this time you can check out the exhibits in the visitor center, have a snack at the small cafe or buy some goodies a the on-site shop. 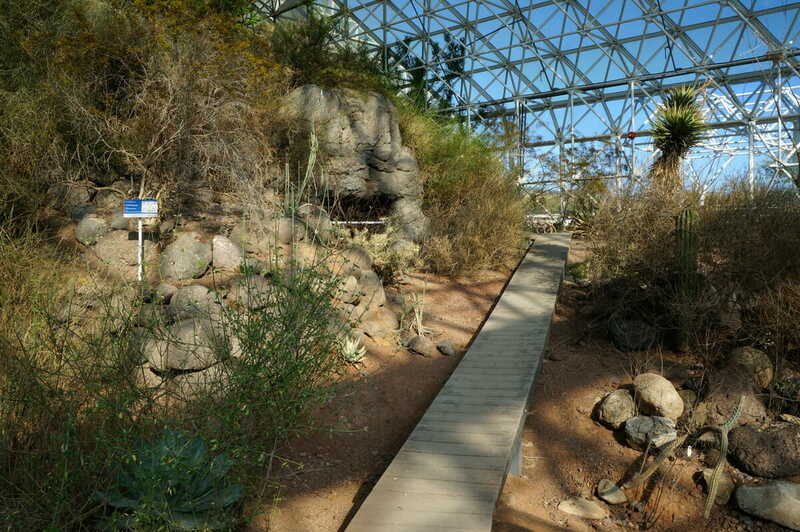 The caves remain at approximate 70 degrees year round with 99% humidity. It will definitely feel much different than outside, especially during the summer heat. 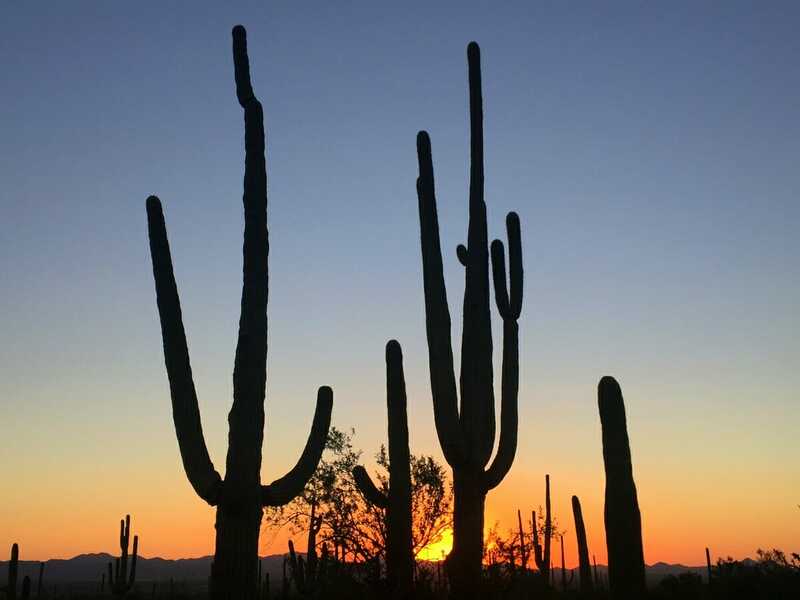 Now that you know all the great things to do in Tucson, check out our recommendations on where to stay and where to eat! 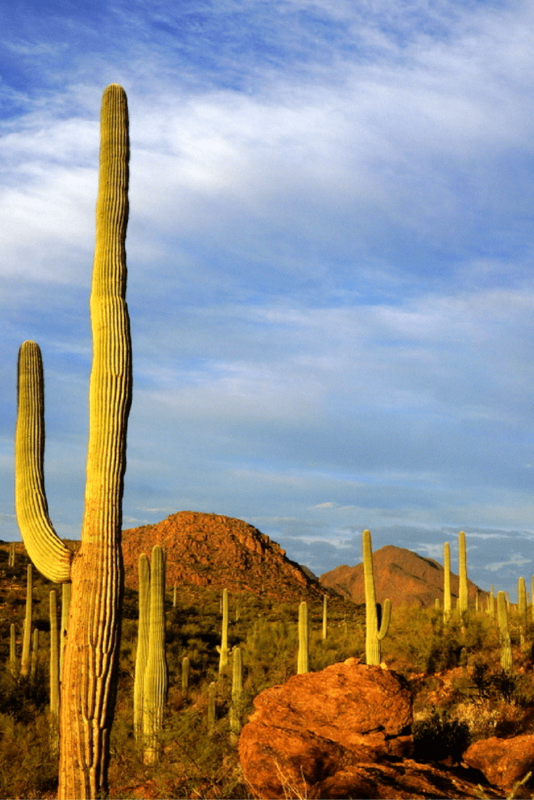 Have you been to Tucson? 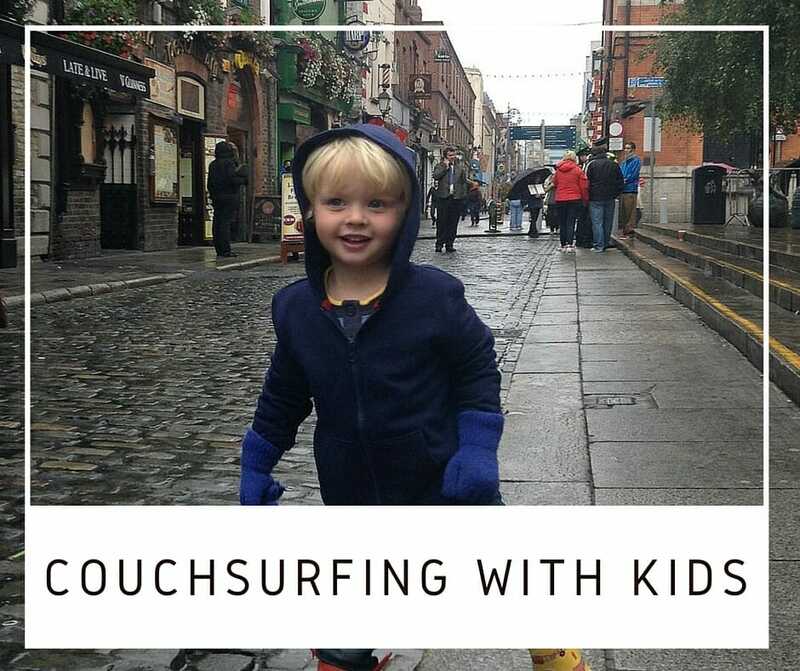 What are your favorite family friendly activities? **Thank you to VisitTucson for sponsoring part of our 10 day visit to Tucson. As always all opinions are my own.